The Library Voice: The NEW Fall 2018 Stories and Songs From Cantata Learning Have Arrived! 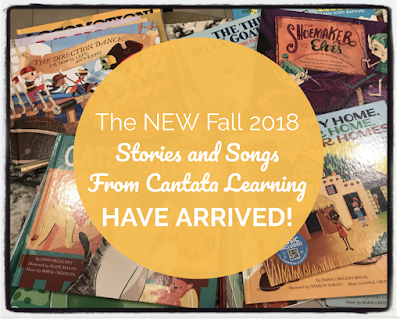 The NEW Fall 2018 Stories and Songs From Cantata Learning Have Arrived! One of my favorite publishers is Cantata Learning! 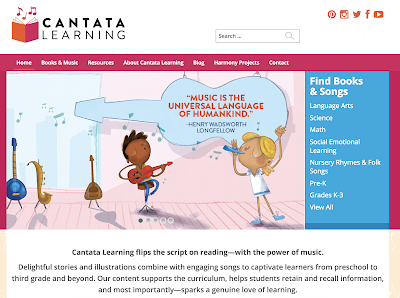 Cantata Learning flips the script on reading...with the power of music! They combine wonderful stories with engaging songs and beautiful illustrations to bring unique and fun learning experiences to our children from preschool to 3rd grade and beyond! 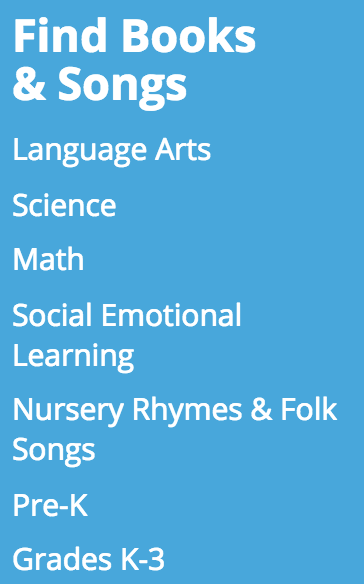 Cantata Learning has done a fantastic job covering all of the different curriculum topics from language arts, social emotional learning, fairy tales, library skills, math and more the last several years! 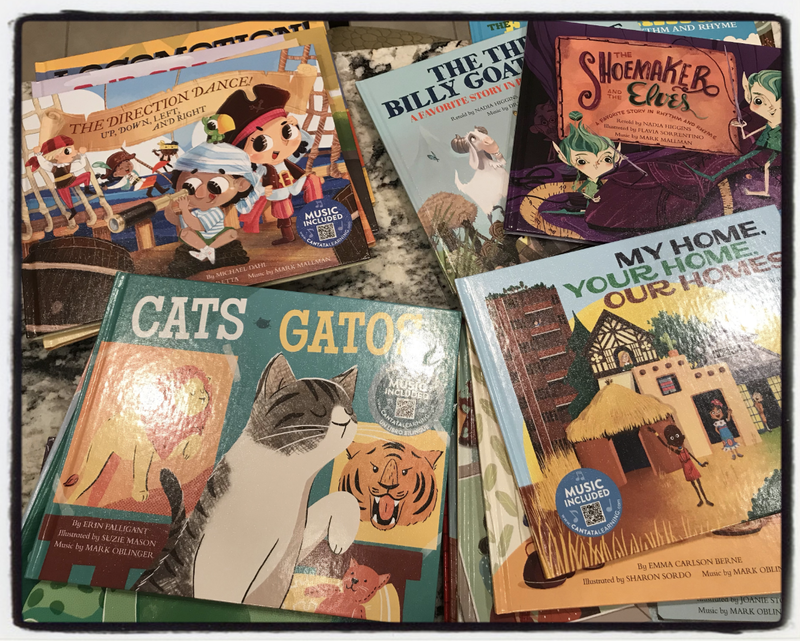 ...with all of the NEW 2018 Fall titles! They are filled with amazing stories with diverse and special characters, family, friendship, movement, animals, fun, fairy tales and love. Let me show you the four series from Cantata Learning that will be available in a few days on August 1, 2018. As you look through them with me, remember that every one of the titles is online where you will find the music available to stream and download.....even as an instrumental piece too. 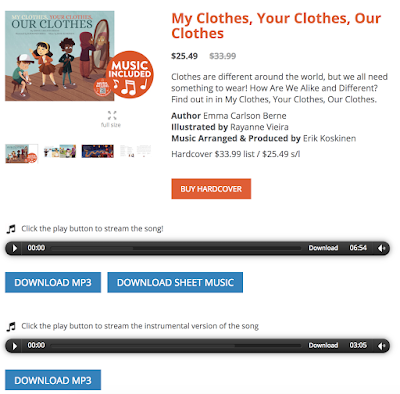 You will also find the sheet music that you can download for each title too. This is included in the back of each book with additional resources and discussion questions as well. The first is one of my all-time Cantata Learning favorites and one that every library and school needs. It is called How We Are Alike and Different. This series includes one that is especially perfect to share, My School, Your School, Our School which focuses on schools around the world. pets around the world too. You will find this series here. The next series Bark wanted to introduce. It is the Pets! /¡Las mascotas! series. There are 6 stories and songs that will help our young readers with the skills they need to learn about and take care of these different kinds of animals. You will find this great series here. I am sure this will be a favorite of all kids! OHHHHHH, the next is so much fun! I can't wait to share this with our physical education teacher at Van Meter, Bart Jones! There are four books that make up the Creative Movement series. This series takes a concept-based approach to introducing the many ways our bodies can move. From breathing and stretching to yoga and meditation, kids will have fun while relieving tension and improving focus. 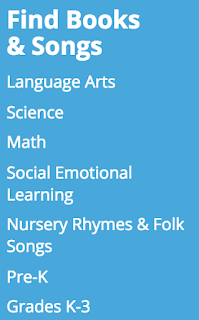 Upbeat music and basic dance moves combine to build a comprehensive, yet age-appropriate, sequential and movement vocabulary. Through movement we become more aware not only of our surroundings but also of ourselves. So let’s get moving! I can just see these being used during PE to teach children so many lifelong physical education skills. You will find the Creative Movement series here. The last but certainly not least are four more that fit into the Fairy Tale Tunes series, which have been out now for a few year. These four join a rock star lineup! 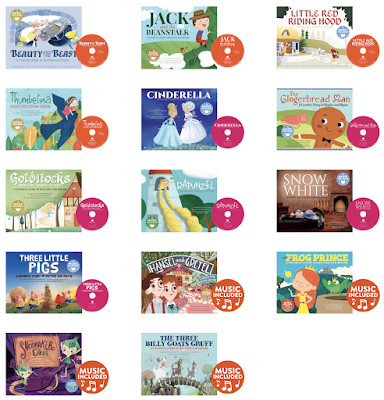 And you will find the Fairy Tales Tunes series here. As you can see, Cantata Learning has done it again and created one out of this world reading, creating, moving, speaking and sharing experience for all of our students. You can check these four new series and every other title from Cantata Learning on the website or you may also visit their YouTube Channel here. Have fun singing lessons with your students this year too, friends!